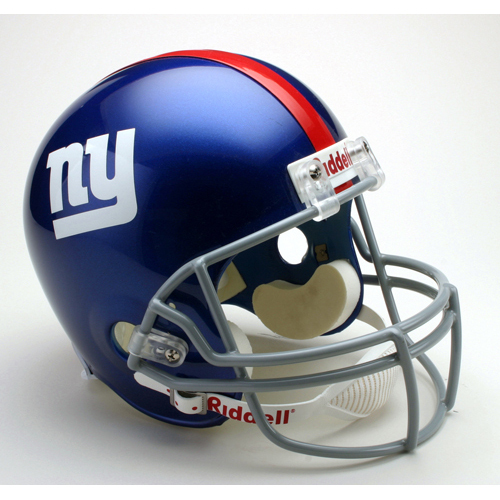 Painted full-size shell with steel polyvinyl-coated facemask and replica decals. Not for competitive play. This is an affordable display piece for the true fan. A full-size helmet with decorative pads and 2-point chinstrap. A great helmet at a great value.